Deutsch: Wie der Wohlfahrtsstaat anfing und wie er enden wird! 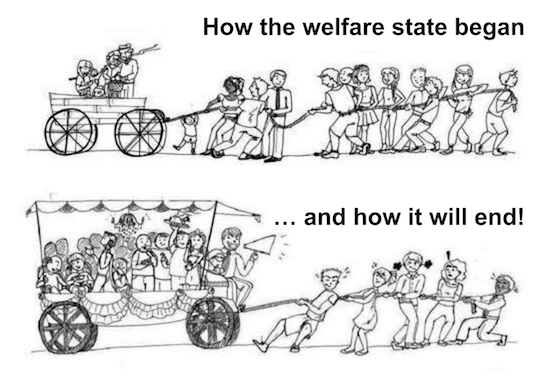 English: How the welfare state began and how it will end. Español: ¡Cómo comenzó el estado de bienestar y cómo terminará! Français: Comment l'État-providence a commencé et comment il finira! To embed this file in your language (if available) use the lang parameter with the appropriate language code, e.g. [[File:How the welfare state began and how it will end.svg|lang=en]] for the English version. 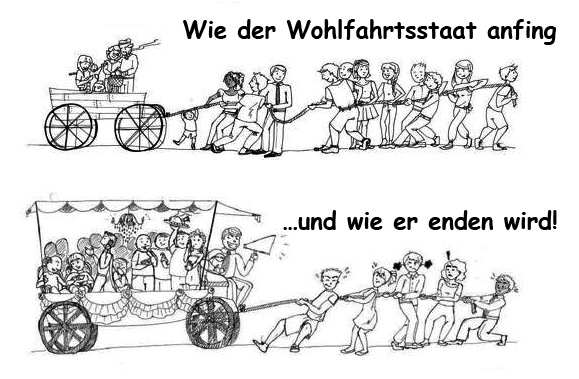 Wie der Wohlfahrtsstaat anfing und wie er enden wird!